*Your Information is 100% Secure. We Never Share Your Email. The FREE Special Report will be sent to the email address you submit above. Sign up NOW and we’ll also include the MP3 Audio version as a Bonus! 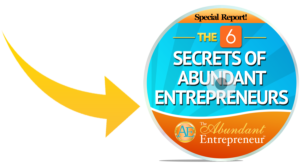 *You’ll also periodically get our Abundant Entrepreneur TV show episodes, success tips and income-boosting strategies delivered to your inbox. Don’t like them? No problem. You can unsubscribe with a simple click. 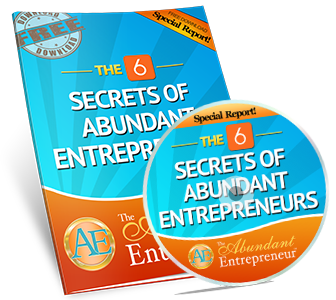 The main mindset secrets that will help you generate income AND success online extremely quickly! A common mistake that most entrepreneurs make – don’t let this mental trap sabotages your success right out of the gate!